The conviction won’t just send 33-year-old Purvi Patel to prison for decades — women’s rights activists say it means anti-abortion laws can now to used to punish pregnant women. Anti-abortion activists have long sought to have a fetus legally declared a person, making an unborn child a citizen carrying the same rights as a person who could live outside their mother’s body. By having a fetus protected with the same rights as a person in the eyes of the law, abortion would be a crime equivalent to murder. And now, based on this conviction, any woman who suffers a miscarriage could now be charged with criminal neglect and murder. Patel sought medical treatment in Indiana after miscarrying a pregnancy and disposing of the fetus in a garbage can. She panicked, according to her lawyers, because she is from a very conservative Hindu upbringing, in which a child born out of wedlock would have been shameful. But after miscarrying, she continued to bleed and sought medical treatment. Prosecutors charged her with giving birth to a live, viable fetus and leaving it to die. There has been some argument about how far along in the pregnancy Patel was before miscarrying. Sue Ellen Braunlin, a doctor and co-president of the Indiana Religious Coalition for Reproductive Rights says Patel about between 23 and 24 weeks pregnant. Indiana prosecutors said she was 25 weeks along in the pregnancy in the feticide trial opening arguments. Regardless, prosecutors say the baby died seconds after birth. 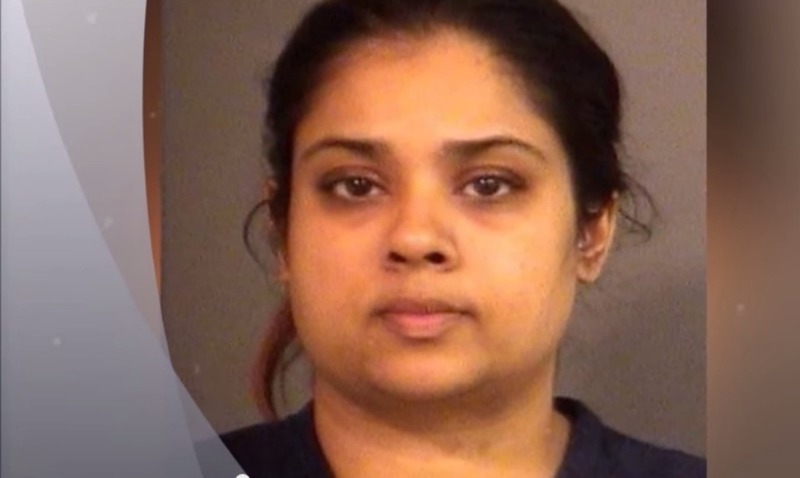 Patel was sentenced by Indiana to a 30-year sentence for feticide. She’ll serve about 20 years, according to reports. “Purvi Patel’s conviction amounts to punishment for having a miscarriage and then seeking medical care, something that no woman should worry would lead to jail time,” Deepa Iyer, Activist-in-Residence at the University of Maryland’s Asian American Studies Program and former director of South Asian Americans Leading Together, told NBC news about the feticide conviction. Pregnant women already face a whole set of stigmas and judgments based on the idea that their body, once a child is conceived in her uterus, is no longer her own but simply a incubator. And with arguments like this and convictions for “feticide” holding up in court, will every woman who suffers a miscarriage have to prove they didn’t do anything to cause it or face decades in prison? Don’t pregnant women and women of child-bearing age already have scrutiny on their womb? Are you having babies? Why are you having so many babies? Should you eat that? No deli meat. Are you really going for a run in your condition? Where’s your husband? You’re going back to work? Now you had better have an alibi in case you happen to miscarry. For those of you keeping score in the “War on Women,” the chicks are losing.